Heartbreak: why do we get heartbroken – and how do we survive it? If you would like help with heartbreak please click on the image. 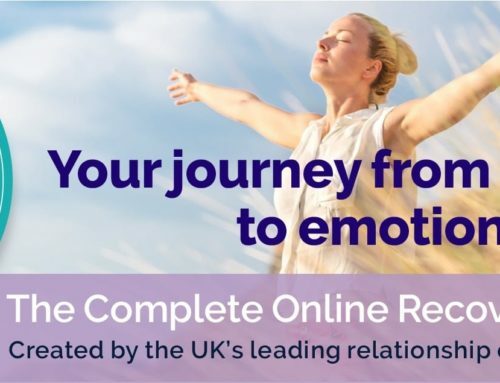 In my work as a professional relationship counsellor, couples’ therapist and love addiction specialist, I work every day with people who know first-hand the emotional pain of heartbreak, and the traumatic aftermath of rejection and loss. When we experience heartbreak, there is often self-blame and unworthiness sitting at the very centre, a response to the rejection we have felt in not having our feelings reciprocated. What is then experienced in the hearts of many is a hollow space that shuts out all the light and with it, the hope of one day finding the perfect person that will complete us. Do you feel heartbroken after experiencing the loss of a loved one? Do you find it almost impossible to let go of the beloved after a painful break-up? Do you experience an avalanche of intense emotions such as loss when a significant relationship has come to an end? Do you feel abandoned and unable to move on with your life, as if you are longing for the beloved to return with the same intensity, or caught in an addictive love cycle? If you are in a relationship, does the fear and anticipation that it might end cause acute grief-like symptoms or painful withdrawal symptoms (love withdrawal)? 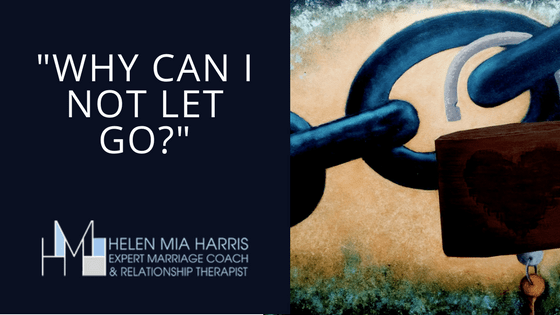 Does the fear of abandonment keep you stuck in an unhealthy relationship? Any of the above can be emotionally and physically devastating, even life-shattering, and you may swing passionately from one extreme emotion to another – one moment feeling that you will get through this emotional distress, that you will survive; the next, feeling needy, emotionally dependent, angry, sorrowful, or humiliated that the relationship has ended. I want to begin by saying this: however heartbroken you may feel, it is a natural and real response to an acutely traumatising experience of lost love and abandonment, provoking very real feelings of grief. So how can that one person whom we loved so deeply cause us such heartbreak and have the power to rock the very core of our being? Many of my private clients describe how the loss of a loved one, or a failed relationship, can feel like an assault on the very essence of who we are. They speak about how they truly believed they had found their soulmate, and are left utterly bewildered and devastated that this feeling of love isn’t reciprocated. 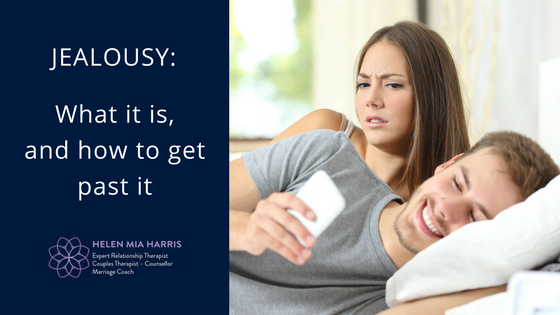 Heightened emotions of distress continuously drag us into a vortex of why/how/what if/if only, whilst we yearn for our beloved to return, to text, email, phone – to make any kind of contact. This is often a component of grief, the mounting disquiet that our love interest has “disappeared” forever, leaving us without closure or understanding. In such a situation, we may find ourselves unconsciously and habitually reflecting on only the most positive and happiest memories of our time together, accompanied by continuous obsessive thoughts about the issues that might have led to the break-up, and exploring multitudes of ways we could reunite with our lost love, making every possible effort to ease the debilitating pain of heartbreak and abandonment. In situations where a painful rejection is involved, there is often an inherent belief that we are unworthy, disposable, undesirable, unacceptable, unlovable and unwanted. Rejection therefore becomes a specific feeling: “I haven’t been chosen.” And if we have been left for someone else, the heartbreak we feel is even more shocking. What are the causes of heartbreak? insecurity and possessiveness (due to the beloved shutting down emotionally). I will be covering these in more detail in later posts. What are the symptoms of heartbreak that lead to love withdrawal? anxious, intrusive, repetitive thoughts of this one person circling your mind. I truly believe that unrequited love and lost love are perhaps some of the most profound experiences we can ever encounter; an acute sense of sorrow and abandonment. Many have said in my practice that they no longer know themselves and feel a loss of identity and self-worth. This is because quite unknowingly we have invested our entire sense of belonging and purpose into the beloved, forming a powerful attachment bond, only to suddenly find that this emotional link has been severed, putting us into a vulnerable, childlike state of abandonment with an intense longing for the beloved to return. depression, anxiety and sometimes post-traumatic stress disorder (PTSD). How does heartbreak impact on daily life? 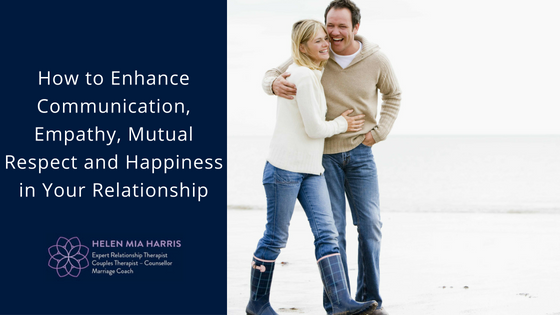 more complex conditions and behaviours including love addiction, emotional dependency, co-dependency, insecurity, obsession, jealousy, anxious attachment, abandonment and rejection, and irrationality behaviours in an attempt to bring the beloved back. These, and more, will be covered in depth in later posts. Sign up to my mailing list and receive Anastasia’s Story for free. believing that we will be alone for ever. What is the addictive love cycle? The most profound experience I had – and the foundation upon which I developed this life affirming programme – was my own personal experience during my early thirties. 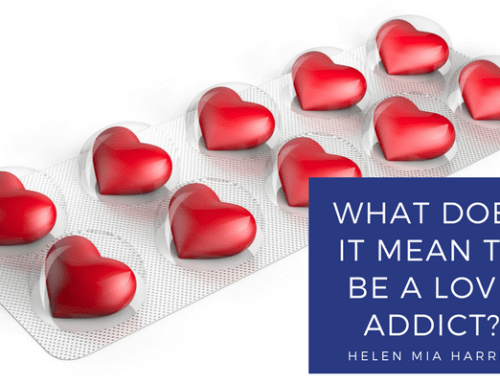 Going through this myself has helped me to understand that anyone could suffer from an addiction to love, from loving too much, from heartbreak and love withdrawal following lost love and rejection. 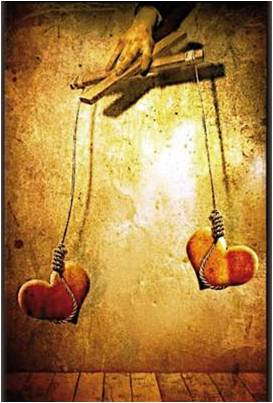 But after a rejection, some women are caught in an addictive love cycle. 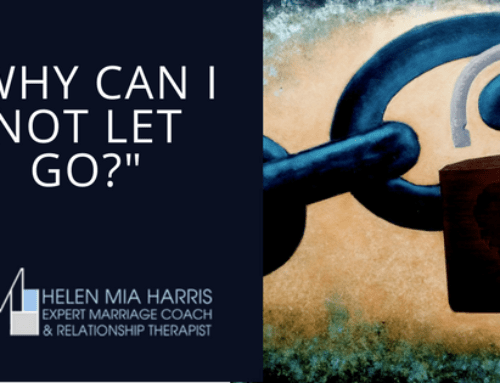 Why are they unable to let go? Before I answer this question, take a look at the following story, which highlights feelings typical of co-dependency in heartbreak. A client in her mid-thirties was suffering desperately with heartbreak and lovesickness (lovesickness, or limerence as referenced above, is a chronic grief-like condition of heartache). She speaks with honesty about what this felt like for her while she was still with her partner. Please note I have the client’s full consent to speak about this and for the sake of this blog I have called her Patricia. “I’m in this awful place, acting out of character, I feel utterly heartbroken… My complete lack of self-control is driving a wedge between us; I’m beside myself with fear and panic, unable to know what to do or how to get through this heartbreak, it literally feels like a real physical pain all around my chest. I can’t take his silence seriously. I can’t hear him say he can’t give me anything and he doesn’t feel the same way. It feels like a sickness in me that disables my ability to hold my life together, participate in anything normal. I’m hiding it from my friends, parents, and work colleagues. I am acting in a way that I never believed I was capable of… For years, I have run my own business and even that is crumbling under the strain of holding these two worlds together. I convince myself that we’ll get through this together, that the next time he comes around things will be different. We’ll talk and talk and get closer. I hope that we’ll be able to find a way out of this collapse in our communication, and yet after a fiery all-consuming passionate evening, somehow, out of nowhere, he’d shut down, pull away, literally holding back from me emotionally, unable to make eye contact. Any question from me would repel him further into a tiny closed cocoon unable to reciprocate any affection, and the more he shuts me out, the more I crave his love, pleading, begging him not to leave. I display uncontrolled behaviour and a fierce desire to hold on tight, and the more I do this the further away he goes. He leaves, and despite the harm we cause one another, I just can’t let him go and cling more in desperation to have him back. I might wait weeks to see him again and then he’ll make contact and the whole thing begins all over again as if I’m going around and around in some kind of destructive loop that I can’t break free from. This is exactly what I mean by the addictive love cycle in heartbreak; it truly is one of the most shattering experiences we can ever encounter. 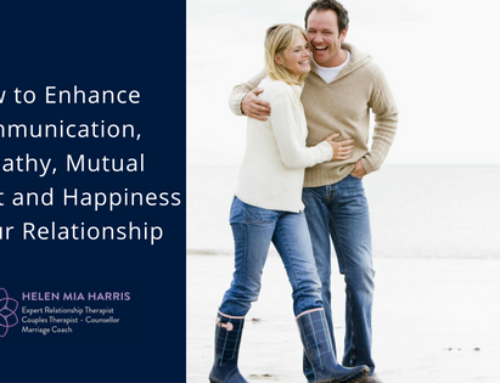 Happily, I am able to say that by doing my “Heartbreak and Love Addiction Recovery Programme” and with some face-to-face therapy, we were able to find a way through her painful break-up, address how she completely lost herself in this relationship, and ease her traumatic symptoms of heartbreak and loss. 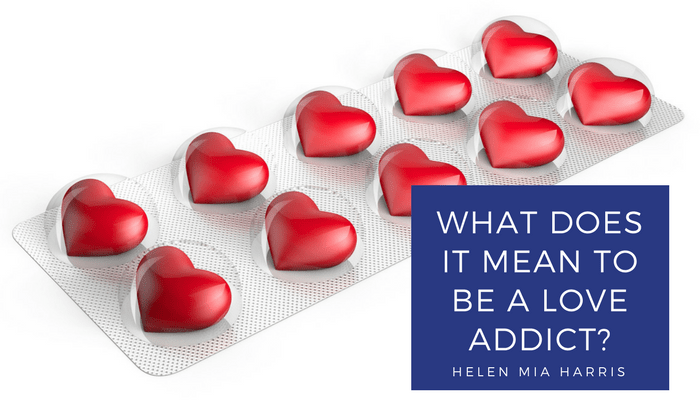 What does is mean to be a “love addict”?